A flight disruption management solution based on blockchain has been worked out by TrustaBit to automate the notification and compensation process in the airline industry. Blockchain technology isn’t having easy time establishing its use cases in certain disciplines, for instance, in the arena of loyalty. Specialists point out that blockchain paving way for a completely exchangeable currency within various loyalty programs might not be what program managers from the outset would be interested in or even doubt it’s exclusivity in doing certain tasks, for instance, interchanging a loyalty currency into cryptocurrency can be done by another technology. This sentiment came to the fore during the recently held Ai’s MegaEvent in Long Beach, California. At the same time, blockchain is also being counted upon to sort out specific painpoints in the travel industry. One of them is data reconciliation service in the hotel distribution business, cutting down on losses associated with transaction disputes. Among the other areas, a flight disruption management solution has been worked out by TrustaBit to automate the notification and compensation process in the airline industry. Can you explain what made you go ahead with the decision to start this venture? Saritta Hines: One summer, I built an Ethereum mining rig with my daughter. That project piqued my interest the underlying technology of Ethereum, which is blockchain and smart contracts. I began looking for an industry that needed an upgrade and the airline industry came to mind. Travel is a trillion $ industry, yet it is also one of the most antiquated and archaic, so when the idea of using blockchain and smart contracts to automate the flight delay compensation process came about – I knew I was on to something! What is the problem that your company is trying to sort out? What traditionally has been done to sort this problem? Saritta Hines: Currently, when flight disruptions occur, there is no streamlined way to receive compensation. Passengers correspond with airline customer service agents, hold for long periods of time and never quite know when they can expect to be compensated. Competing solutions facilitate a back and forth conversation with the airline on behalf of passengers who initiate contact and pay a fee for their services. TrustaBit is different because our customer is the airline, not the traveller. Our solution will be white-labeled and integrated within the airline’s systems to automate and streamline their processes. The passenger does not need to initiate contact or download a new mobile app to receive compensation. What's your observation around how pain points or even business use cases in travel are being served blockchain as of today? Saritta Hines: Pain points in the travel industry run the gamut, affecting both airlines and travellers. Airlines have difficulty notifying passengers of flight disruptions in a timely manner and struggle to issue adequate compensation without employing manual processes. As a result, passengers are left frustrated and loyalty wavers. To top it off, airlines suffer losses of $60 billion per year due to flight disruptions. Why do you think blockchain technology is the best solution to this problem? Saritta Hines: Blockchain can benefit projects that: have multiple validation and control points within their systems, have multiple actors consuming the data, and if they need to track data quality and data lineage from day one our solution is an optimal use case for blockchain technology as it offers increased security and prevent fraud, which costs the airline industry an estimated $858 million per year. Can you talk about the technology that is being used by Trustabit? Saritta Hines: TrustaBit is powered by blockchain, which provides an immutable ledger with one source of truth. Rather than using a public blockchain for sensitive airline API data, we utilize Hyperledger Fabric, a permissioned blockchain. A private blockchain network requires an invitation to be sent out to all network participants so that the business knows who is performing the consensus protocol and who has a copy of the ledger. It establishes trust, transparency, accountability and it does not require mining or expensive computations to assure transactions. Smart contracts code the business rules outlined by our clients and are written to the blockchain. Once a triggering event occurs, the smart contract executes. What's the status of your offering, is it live or under pilot phase? Saritta Hines: Our POC is live and can be accessed at app.trustabit.io. Currently, any combination of numbers can be used as sample data in order to test drive the POC. We are in search of a few pilot airline clients, and are speaking to a few prospects fitting specific criteria, to participate in beta testing. What according to you are the major challenges for your solution to pick up in the industry? Saritta Hines: One challenge is implementation. Some airline systems are still using legacy systems. Implementing our solution will not be a one size fits all approach as we will have to be sure our technology is compatible with systems that are currently in place. If this is not the case, we will have to take the necessary measures to make it so. There have been use cases of blockchain technology, for instance, payment settlement that are active today. Why do you think blockchain is often criticized? Isn't there overestimation of what all blockchain can do? Saritta Hines: As with any new technology, we will see phases of innovation and early adoption leading up to more widespread adoption of blockchain. The internet is an example. During the .com era, the internet was full of things like cat videos and perceived as a breeding ground for spam and scammers. Similarly, the perception of blockchain has been that it is largely used by criminals. This notion is beginning to fade as more fortune 500 companies begin to employ new use cases for the technology. I believe that as we learn more about the power of blockchain, the early critics will join us as blockchain enthusiasts! I am not sure there has been an overestimation of what blockchain to do. Quite to the contrary, I believe we are yet to see its true potential. This technology could very well change the way we live. What are your expectations from blockchain technology going forward? Saritta Hines: I believe the future of blockchain will bring some of the more antiquated industries into the digital age. I have seen the perception of blockchain grow tremendously. A few years ago, most people only associated blockchain with the “dark web” and criminal activity. Now, enterprises are curious about blockchain use cases and are looking for ways to incorporate the technology into their systems. I have also even seen companies implement low code methods to develop smart contracts that can be used on multiple blockchain platforms. Amidst all the talk around fraudsters finding ways to tame the system, one area where progress is made to stop them is machine-automated fraud management. Airlines are being recommended to consider the prowess of a decisioning algorithm, with the mandate of maximising revenue at an optimal level of fraud risk. This is expected to make the airline’s fraud prevention methods truly agile at maximising revenue while minimising fraud. One company that has been making steady progress in this arena is CashShield. The online fraud risk management specialist has been in news for their $5.5 million Series A round. The machine learning algorithms used in fraud management today can be divided in two types: supervised machine learning and unsupervised machine learning. Supervised machine learning, or traditional machine learning, involves dumping historical data to train the system, while unsupervised machine learning lets the system learn on the fly with real time data collected. So how can one rate the efficacy of machine learning in managing fraud today considering 3 metrics - manual reviews, chargebacks and conversion rate? Today’s fraud management systems use only supervised machine learning, which is a reactive approach to treat fraud, says Justin Lie, CashShield’s CEO. “It is true that traditional machine learning has improved fraud management to a certain extent – automating some processes, collecting more data to churn and analyse, but it still falls short from real time machine learning. Without real time learning, supervised machine learning is unable to predict and counter unknown fraud attacks, since it is reliant only on the data on historical fraud attacks. Additionally, these systems can only produce probability scores for each transaction, therefore still requiring a great amount of manual reviews. With the three metrics in mind, traditional machine learning systems are scoring only a 3 out of 10, its full potential,” explained Lie. Lie asserts that unsupervised machine learning, or real-time machine learning, is far more effective as compared to its supervised machine learning counterpart. Its proactive approach to fraud allows the system to identify fraud before it happens and also automate the entire fraud management process to completely eliminate the need for manual reviews while keeping fraud rates low. Conversion rates also improve with the higher accuracy at proactively identifying genuine customers and fraudsters alike without any additional friction or blocks, he added. So instead of implementing a fraud prevention strategy that requires long gaps in training machines with data sets, travel companies should shift towards real time machine learning (or real time automated) fraud systems to get ahead of the fraudsters. Commenting on the sort of progress that has been made as far as real-time automated fraud prevention is concerned, Lie said when airlines and travel companies rely too much on traditional machine learning – and the use of historical data, unknown cyber-attacks without any prior information will pass through the system undetected. Real time machine learning differs from traditional machine learning in its ability to identify the adversary attempting to trick the system, learning on the fly with each incoming transaction of the fraud attack to match the patterns and block the transactions immediately. He pointed out that most solutions in the market with machine learning are developed by data scientists who are familiar with traditional machine learning, or merely adopting machine learning algorithms to automate traditional fraud screening methods while still maintaining a heavy reliance on human labour for manual reviews on derived probability scores. “A probability based approach is basically just predictions that are insufficient to help merchants make decisions. On top of that, cyber criminals are constantly trying to trick the system by feeding manipulated data, making probability measures fall short in its accuracy. This reactive fraud screening methods puts travel companies far away from real time automated fraud prevention, which eliminates the need for manual reviews. Fraud prevention should look to combine multiple disciplines of passive biometrics, financial algorithms, behavioural analysis and predictive analytics to be closer in achieving real-time automation,” he said. · Rule-based systems: Rules-based systems are in general reactive and probabilistic solutions, which is why they are unable to prevent fraud before it happens. Probabilistic frameworks only seek to train the system on historical data, and do not possess the expertise to move beyond probability scoring for fully automated decisions, thus crippling the system on manual reviews. Because of the need for manual reviews, rules-based systems also start to show cracks at high volumes, and reduces the company’s ability scale on demand. Merchants should be realistic about rules-based systems’ flaws and limitations - mainly on their hindrances to scalability and restrictions to instant delivery. · Being wary of blacklists: Lie says blacklists rarely work because hackers will never use the same credit card information twice, while whitelists are inaccurate since whitelisted customers can be compromised anytime. Also, historical data (which blacklists are categorised as) lose relevance very quickly in the face of unknown cyber threats, since it is difficult for the machine to predict new fraud attacks without any prior information. Real time machine learning can help against blanket blacklists and whitelists by focusing on the customer’s behaviour instead. It works with real time live data collected on the merchant’s website, where the system trains itself with each incoming transactions to identify fraud patterns instead. · Setting right expectations from new developments: Merchants need to gear up for Dynamic 3DS and Dynamic Authentication in an earnest manner. He says the problem with Dynamic 3DS is that it is controlled by card issuers and is therefore still working with the same set of data as before. They are unable to tap on the merchants’ data for more information on fraud and are not as smart and flexible as they tout themselves to be. Therefore, merchants cannot expect Dynamic 3DS to be a be all and end all solution to solving fraud woes. As for Dynamic Authentication, it is very counterproductive, considering the added friction placed on users. On average, only 70% of dynamic passwords delivered are used, while merchants see a 40% reduction in purchase conversion rates after introducing Dynamic Authentication. · Measuring false positives: It is a difficult endeavour as there are many assumptions to be made – that all wrongfully rejected customers actually show their unhappiness in some ways to the airline or travel company or that lesser reports of customers’ calls to customer service is necessarily indicative of lowered false positive rates. “To complicate matters further, many fraud detection solutions in the market like to flaunt their false positive rates (or ability to lower it) to airlines and travel companies, based on ‘internal research’. Instead of auto-block thresholds, merchants should shift away from hard rules and move towards utilising behavioural analysis – looking at the permutations of variables and patterns – which is a much more targeted approach to block hackers and yet minimise false positives at the same time,” said Lie. So airlines should direct fraud prevention efforts on behavioural analysis instead, which is compatible with all various payment methods, currencies and devices. A further step in sustaining or even improving conversion rates for airline can be to develop a decisioning algorithm. What sort of systems, engines, data etc.are needed to make the most of the product that is owned by airlines? How their ongoing technology contracts limit their own capabilities, and what can be done to improve upon the same? Ai’s Ritesh Gupta spoke to Davidson about the same. What can step up the average order value every time a passenger shows the intent of buying an air ticket? How to deliver a sublime passenger experience – one that depicts readiness on the behalf of the airline to answer any question that arises at any stage of the journey via any touchpoint? 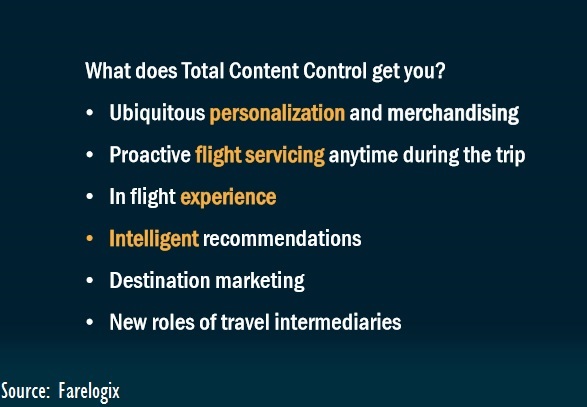 In order to optimize monetization as well as deliver a personalized experience, airlines need to move on. Their operational capabilities, the efficacy of their technology and distribution partners etc., everything is under scrutiny. The entire fraternity – be it for airlines, travel technology specialists, the industry body IATA, distribution partners etc. – is in the process of sorting out complex business processes that continue to impede progress. So how are airlines responding to the need of being in control of their own offering? How are issues related to technology and extraction of data from the current airline-run IT infrastructure being addressed? Ai: Airlines are often being singled out for being slow to embrace change for different reasons. They tend to miss out on creating the offer themselves, what they should offer in real-time and not showing the product despite investing in the same, be it for aircraft, meals etc. How are airlines going about countering limitations such as their own IT systems or the archaic process of making an offer? Jim Davidson: In my opinion, airlines in general are conservative when it comes to change. This is typically rooted in the extreme focus on safety and operations. So when it comes to changing a distribution process where the airline takes over control of creating, controlling, and delivering their offers through an NDC-aligned methodology, it is not that surprising that quite extensive study is required at various levels within an airline. What’s interesting is that many airlines have already completed this initial study. Farelogix observes a certain level of caution regularly during initial discussions with airlines, and this is understandable. Ai: So when do airlines realize what they are missing out on? Jim Davidson: The evolution of airline offer control generally begins with a few exploratory meetings about what creating and delivering the offer really means from an airline perspective. Usually this early exploratory stage is driven by maybe two individuals assigned to an “NDC initiative”. It then progresses from there with more individuals and departments getting involved. This is when you know an airline is serious about taking control of their offer. This is also the time that airlines usually realize that they are either behind when it comes to having the right technology in place, or that they are locked in to someone else’s technology (e.g., PSS and/or GDS) that will not enable them to create, control, and deliver their offers. At this stage, the more motivated airlines look to supplement either their own technology with one of more offer engines, or they confront their PSS with an option to “add-on” a few pieces of new technology to their PSS. This, by the way, is also the point when many airline NDC initiatives get shut down by the PSS, as the airline has neither the clout or commercial ability to do what it desires. Ai: What is the next step for full service carriers to getting closer to creating their own offer? Jim Davidson: That is the question. What will they do? 2) Push for a PSS renegotiation that gives the airline more freedom to add their own managed engines that will interoperate with the PSS. Here again the airline faces the obstacles of clout and locked down long term commercial agreements that prevent them from expanding their own technology presence. 2) Other companies that specialize in offer engines and distribution-related technologies, like Farelogix, are continuing to rapidly innovate and enhance their offer engines, making it extremely difficult, if not impossible to ever catch up. Some would argue that with enough resources ($$$), the PSS/GDSs will be able to “leapfrog” into a better position. However, in today’s world of development cycles and new technology advancement, “leapfrogging” is a dying art. Ai: Can you talk about significance of supporting ATPCO-based fares as well as non-ATPCO fares to be managed directly by the airline the way WestJet is going about it? How this needs to be interoperable with other offer engines for off-PSS merchandising, availability calculation, and schedule building? How NDC is playing its part in letting airlines create the offer? Jim Davidson: NDC is essentially defining the model and workflow of the airline creating and delivering the offer. The very nature of the NDC initiative is to create a robust schema that enables any airline to create and deliver its offers to any distribution channel or third party entity. Having a standardized schema for this purpose makes this a very scalable, repeatable, and over time economically beneficial process. Like any new process change, especially in an industry heavy on legacy technology and institutions, the initial change of process, workflow, and utilized technology requires significant investment from existing players and new entrants. Here, new entrants have a clear advantage over the legacy players, which is why you still see NDC push-back from the legacy players. Ai: The approach of airlines for selling their core product and even air ancillaries needs to evolve. Can you cite a couple of examples where revenue is being optimized or average order value is going up because of differentiated content that can be pushed via API-led distribution? Jim Davidson: There are numerous examples: United Airlines and Air Canada utilize optimization algorithms for premium seat pricing. Westjet uses dynamic pricing capabilities on its Westjet Direct channel. Other airlines use optimized pricing scenarios for upgrades, lounge passes, priority boarding, and more. Farelogix merchandising (FLX Merchandise) and pricing (FLX Shop & Price) engines are used by these airlines. Ai: What are major challenges as far as interlining is concerned – selling to servicing to financial settlement? Does this hamper direct creation of offer? How are IATA’s initiatives taking care of such complexities going forward? There is certainly a new level of complexity when it comes to offering additional content from interline partners. I do not believe that these complexities hamper airlines wanting to directly create their offers. It seems that the logical adoption flow is starting with online selling and servicing of additional content, moving into the alliance with these capabilities, followed by unaffiliated interlining. It will obviously take a bit of time, but IATA is doing a lot of work in defining standardized workflow processes and schema elements to enable NDC interlining capabilities. Hear from experts at the upcoming Controlling Your Offer Symposium, featuring live demonstrations that take NDC, dynamic pricing, revenue management and merchandising to the next level. Airlines need to look at several areas, including the organizational impact, IT, issues associated with access to data and their innate nature to detest change, in order to embrace digital transformation. Where do airlines stand today when we talk of delivering a seamless, relevant experience throughout the passenger journey? Ai: Can you explain what sort of transformation is required by airlines – IT infrastructure and APIs - to gear up for offer management, order management and customer management in the best possible manner? Ryan Harris: There is not an easy answer to this question, mainly because the operations and business goals of each airline is different than any other airline. But, it starts with internal education. The stakeholders within the entire corporate structure need to know what is coming and how it will affect not only their own business line, but also all the other lines in the company. Next important step is to set your organizational goals and diligently plan how you are going to get there. Some of the biggest difficulties I see for most companies won’t be the technical changes, but the organizational changes that come with that through the changes in required business functions. For example, with a complete transition to NDC distribution and One Order, there is no longer a need to file fares. What do you do with your fares department, which is sometimes a rather large asset of human and information assets? Do you just cut the labor and salary cost? Do you transition them to other departments? If you transition them, how do you plan the required training while they are still providing a business-critical function? These are the types of issues that I see as a much bigger challenge to address, not just the technical side. But, of course, you can’t just forget the technical side. This is an industry transition, not just a company, so while you may be fully ready to jump in and get into the Offer-Order management pool, your interline partners will likely still require the legacy connectivity to be maintained and you will still need the legacy systems to distribute through traditional GDS channels until a critical mass is built in the NDC Aggregator channel to replace it. Ai: Flydubai has worked out end-to-end PSS API in public domain. How do you assess moves like these when we talk of collaborative approach towards serving passengers in the best possible manner? Ryan Harris: Public APIs and the entire open-source community, I personally think, have been some of the greatest innovators in the digital revolution since the beginning. Making things public and open generally leads to exposure to people outside the box. They can think of things that some of us in the industry just can’t conceive. Keeping things closed forces tunnel vision and can stifle creativity. I think the industry is starting to come around a little bit on releasing public API’s, at least high-level. For example, the NDC, and eventually One Order, XML schemas are currently available for public download through IATA. This means that anyone can get them and create any sort of interface that they want, a fact that IATA itself has leveraged through its several Hackathons. I’ve been to a few of them now and it’s interesting to see how people from outside the industry want to interact with the industry. Most are good, some are questionable, but there are a few brilliant ideas that come from some of these participants. Events like that are only possible because of the open-source approach that IATA is taking on the industry’s behalf. Ai: How can the power of APIs enable airlines to reach out to audience at the right time via the interface they chose to interact with? For instance, for instance, if I am chatting with a friend on WeChat or Facebook Messenger and planning my next flight, how can a link for search and booking be worked out by various partners via APIs? Ryan Harris:That is very much up to the limits of the individual airline, which may be decided by either the willingness or ability of their system providers. Some of the airlines with the greatest ability in this area are the ones that run their own systems completely and can do whatever they want to do with it. The problem is, there are very few airlines in the world that either want to take that level of involvement or can afford to do it. But, this also gets us back to the question of the open API. The airline industry is, by its competitive nature, very adverse to openness. We are also, by our safety-conscious nature, very resistant to change. An airline or a provider can fully publish interactive APIs to the public today, and it would likely be picked up and built upon in creative fashion. But, I remember a few years ago, there was a little bubble for apps that could consolidate all your loyalty points and show you in one screen what your balances were and I found it quite useful. But then one airline blocked access, then another, and another, until eventually there was no source for these apps to access. 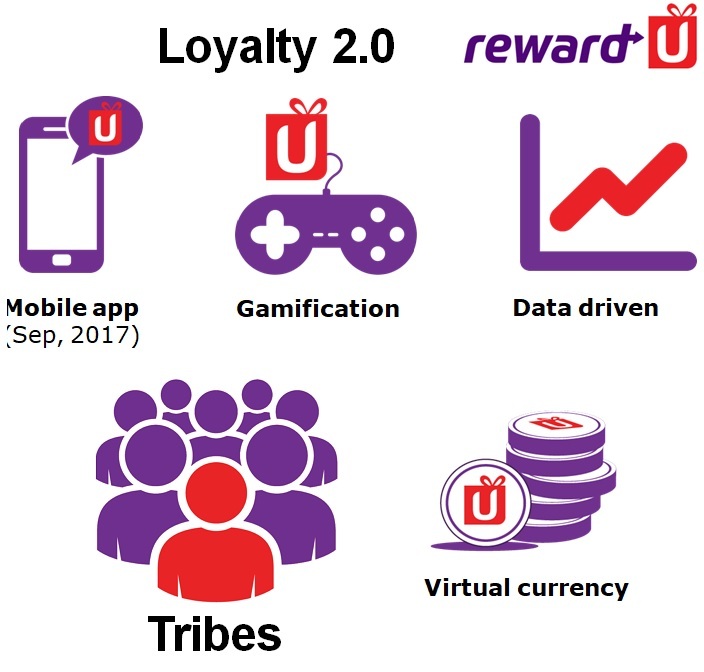 The reasons varied from security to lack of brand exposure, which after all, is the actual goal of a loyalty program, but the result was that the airlines removed that data source from the public domain and the innovation that was built on that data was quickly destroyed. So, can something like this be done today? Probably. Will it be easier tomorrow? Likely. But it’s going to be up to someone in the industry to open the door and let the people in to do it. Ai: So, how can airlines serve passengers in a seamlessness and relevant manner throughout their journey? Can the blend of data, cloud, IT, content and emerging consumer technologies propel ancillary revenue? Ryan Harris: Knowledge is power. There are entire industries based on nothing more than the data surrounding an individual person’s movements and economic activity. There are likely a lot of things that would be completely possible from marketing, promotions and sales prospective through the data available in today’s mobile devices and the Internet of Things. There are only three issues that I see causing limitations, and technology is not one of them. The first is consensual, as in most countries, companies are required by law for you, as the consumer, to opt-in to allowing the collection of that data by a company. The second is legal, as again, most companies are limited by the law as to what they can do with the data you allow them to collect. To be honest, the third limiting factor, in my opinion, is what I call the “Creepy Factor”. I still get a little skeptical when an idea or a product that I was just talking about in a face-to-face conversation shows up in an ad on a website. Maybe it’s just coincidence, but maybe not, I don’t know. But, the fact remains that most people are not prepared to fully give in to the artificial intelligence big data machine telling us everything we want when we want it, even though it is pretty much possible today. If you build in too much of this predictive AI, you run the risk of spooking your customers and seeing exactly the opposite result that you were looking for. So, yes, it is possible, but with some careful restrictions and customer education. Gain an insight into intriguing issues at Ai’s 11th edition of Ancillary Merchandising Conference in Spain this week. How comfortable is an 18-inch economy seat? What is the meaning of “customisable lighting” in an aircraft? What sorts of ground transportation options are available at a certain airport? These are just a handful of questions that a passenger might contemplate while booking a seat on an air plane. And considering the “fickleness” of a consumer in the digital world, how can airlines present their product in the best possible manner when one is looking for the same? There is no point in making investment in a new aircraft if the same can’t be conveyed to the traveller and that too in a manner that adds to the joy of flying. In this context, digitisation of operations is rightly being strived for, by drifting away from being technology-centric processes that this industry has over the years followed. Collaboration via APIs is one route that entities, including airlines, are increasingly embracing, and this means the distribution status quo is set to be challenged. Also, if more airlines are pushing their offerings via APIs, what sort of opportunities is there for start-ups? Berlin, Germany-based flyiin is the process of crafting a new online marketplace that is 100% API-based, playing the role of an aggregator and working out a new sales channel. The company recently signed a pilot agreement with Lufthansa Group to take part in the beta phase of their offering. The start-up doesn’t rely on GDS technology. Rather the team has developed their own search and booking technology, plus it is capable of aggregating APIs from the airlines. And even if there is lack of standardization in APIs, flyiin would work on the normalisation of APIs, and then facilitate search and booking (via request and exchange of data, could be content or inventory). So essentially flyiin would exchange data as per the version/ interpretation of the airline, and eventually transform the airline’s response message to NDC 16.2 version. Till recently, the platform could normalise APIs from six airlines, based on different versions of NDC (1.1.3, 15.2 and 16.1). Ai: How does flyiin compare with existing online intermediaries such as online travel agencies (OTAs) and meta-search engines (MSEs)? Pingaud: There are quite a few differentiating aspects to OTAs and MSEs but the most relevant one for the consumer is that the search - and subsequent booking, payment, ticketing and servicing transactions take place directly with the airlines. When you search for flights (and services) to your desired destinations, your search is sent to all airlines operating the route directly or through their hub. That means the flight information, the fare and any fees for extra service are returned by the airline. Your search result information will always be valid and fares available. Not always the case with OTA or MSEs. Secondly, as importantly, you will get the visibility of the full costs of your flights prior to booking them. If you search for flights between London and New York, and wish to check 2 bags, select your own seat and be able to change or cancel your flights if needed, flyiin will return the total costs, inclusive of these services. So you can easily compare flight options irrespective of the various bundled fares and ancillary services approach of each airline operating the requested route. Ai: Why are you calling flyiin a new sales channel? Pingaud: So flyiin is an online marketplace for air travel, where airlines and travellers interact directly throughout the entire flight planning and purchase (and post-purchase) process. There are no technical intermediaries between the airlines and their customers. Like any marketplace in other verticals and industries, for airlines our sales channel is semi-direct. They keep the entire control over the distribution of their product throughout the whole purchase process. Ai: What’s your vision for flyiin, and how are you looking at filling the gap in current planning and booking? Pingaud: flyiin aspires to be the number one brand and product for online flight planning and purchase. How? By bring the both the comparison power of OTA/ MSEs with the in-depth content of airline channels. But once again, by minimizing the complexity of individual airline offerings and making it easy for travellers to compare these offerings in one screen, including of the services that are important to them and available in each flight option. Ai: Can you elaborate on revenue generation? Also, how do you intend gain traction, looking at growth hacking? Pingaud: I can't elaborate on the revenue generation at this stage, as we will use the 16-18 month beta phase to get the data that will help us define a proper business model with the pilot airlines. Although new for airline distribution, our business model is typical of a marketplace. Travellers will search, shop, book, pay and get their tickets directly with the airlines. They will be in the flyiin digital environment (like Amazon) but in the background, airlines through their APIs will be in charge. It goes beyond facilitated bookings and encompasses 'facilitated search'. About growth, the next 18 months - financed by our seed round - are going to be all about building the best possible marketplace product. Growth hacking will be after we secure series A. Regarding white label and other user channels like messaging channels etc., yes we will consider all of those, to make sure that travellers can use flyiin wherever they are, but once again right now of our focus is on building the core product and supporting API aggregation platform and get as many airlines as possible on-board. Ai: How has flyiin come up with a technologically advanced, NDC-based distribution model? Pingaud: We knew the only way we could really deliver a much simpler, more transparent and user-centric experience to travellers was to disregard existing search and booking technology from the GDS (and other fare search system providers) and instead leverage the APIs from the airlines (many of which are based on the NDC standard). As a consequence, we built our API aggregation platform which connects to each airline API and 'normalise' these APIs into the latest version of the standard, since all these API are based on different versions of NDC (or are not NDC-based) and/or interpret the standard differently. Ai: Can you explain how are you looking at commercializing all offerings of airlines, be it for core offering like air ticket, or air ancillaries and even bundled fares and other ancillary services? Pingaud: Our approach to flight comparison is to ensure that travellers can compare all flight options returned by all airlines being queried, inclusive of the services that are important to them (number of bags for check-in, select my own seat, flexible fares etc.). We do by showing the fare from the right fare family i.e. that includes the requested services. The plan is to also associate to each flight option a 'flight details page' that will enable airlines to showcase the experience to be expected during that flight, using a combination of media assets and product/services descriptions. Ai: Can you explain how flyiin would contribute in terms of real-time data exchange that can help airlines to push the right offer at the right time as per the context or intent of the traveller? Pingaud: For every search made by travellers through flyiin, airlines receive an XML search request messages that will include not only their desired O&D and dates and number in parties, but also the services that they wish included with their flights. If the traveller is logged in, they will also know who is searching for flights and adjust their offer accordingly. Secondly, we’re using a technology for our front-end development that can potentially provide data about what travellers are interested in (services, destinations etc.) which we would potentially shared in real time and anonymously, but it is too early to talk about this. What are the major obstacles to fostering a personalised customer relationship? Experienced airline executive Dean Dacko asserts the challenge is three-fold: the lack of a full 360 view of the customer behaviour including customer touch points outside of marketing + competitive search and transaction activity; the inability to convert customer data into actionable customer insights to deliver relevant customer value in real-time; the fear of making the major investments required (technology, systems, processes, talent) without a guarantee of return on investment success. Data is housed in specific silos across the organization. It doesn’t allow for a single view of the customer. So how to interact with customer, how to communicate with them across various points of their journey? Customers are ahead, and airlines aren’t able to deliver personalised relationships that entities in a lot of other customer verticals are already delivering. It needs to be noted that there could be brands that belong to organizations that aren’t more than 15 years old. They probably started with a platform and business proposition that doesn’t entail involvement of a legacy system. But recognize that their whole ability to succeed and grow lies in personal relationships. So the customer is expecting that the brands they appreciate the ones they want to build a relationship with and the ones they want to transact with are the ones that truly understand them and deliver a value proposition that’s unique to them. 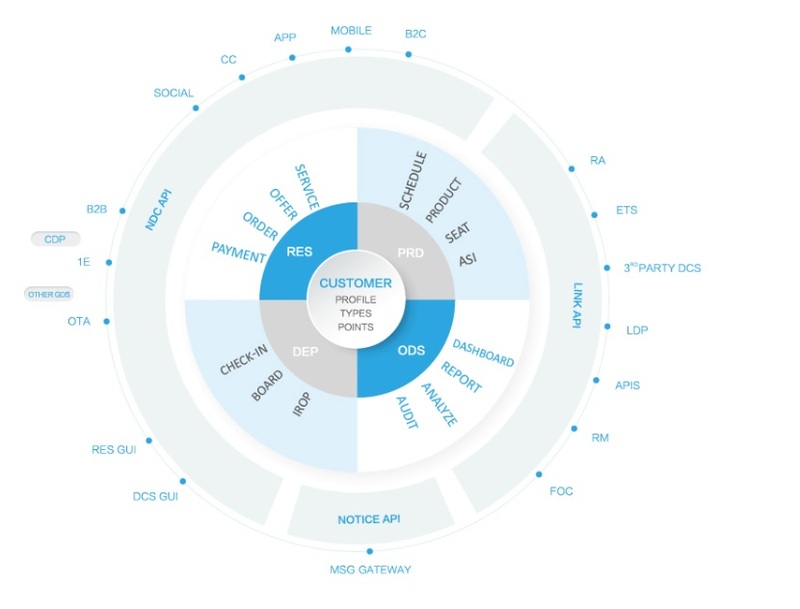 In the context of understanding what a personalised relationship looks like - it is about delivering personalised customer value proposition unique to customers. This makes customers feel “You get, you understand me, you anticipate my question before I pose it and you answer/ present me with a relevant offering”. So when talk of that moment of truth, customers always find that brand to be in the scheme of things as per their booking funnel. “Understanding is important rather than offering free stuff,” said Dacko. “So it’s the notion of using personalisation in growing that capability to create a personalised relationship that makes them believe that you are truly investing in them. This reflects in the trust that is developed. So the notion of where the future is going in terms of understanding the importance of personalisation is really something that is understood how the customer is evolving not just in the airline space, but almost every other vertical worldwide. Every market has its own payment mix, mandates, checkout and risk management considerations. When you think about the scale of global travel, monitoring these multinational regulations is a rigorous process. Payouts are a complex process that entail one organization making mass payments to different recipients and bank accounts. With payouts, merchants have the opportunity to manage for cost reduction and efficiencies. A merchant can manage the process to be in their best interest versus with a consumer conversion that requires more flexibility. As being witnessed with payment acceptance, travel companies are embracing an array of cross-border payment options for a local payout experience. This is a welcome change as cross-border payments have progressed rather slowly over the years, mainly owing to the fact that one has to adhere to stipulated regulations. In the past, one had to deal with issues related to fees, long payout timelines and archaic banking networks. While initiating cross-border bank transfers, travel organizations encountered slow transactions and opaque funds flow. This was because funds had to go through multiple financial institutions to get to the ultimate end recipient. Each stop along this correspondent bank network also comes at high cost, as each financial institution charges a fee for handling the transaction. But now travel brands are increasingly trying to process payouts locally, bringing down the number of financial institutions involved, and ultimately reducing the cost of sending mass payouts. “Instead of relying solely on standard global payment services like wire transfers, expect 2017 to boast new global payout methods allowing suppliers to simplify cross-currency transfers using local currency funding,” says Mike Carlo, Global Head of Travel Payments, Transpay. Ai: How do country-specific licensing requirements or developments such as Brexit and volatility in the Chinese market impact cross-border transactions? How such developments impact cross-border exchange for merchants, PSPs and consumers? Mike Carlo: While it’s still too early for to know the full impact of Brexit, current market and currency volatilities, as well as potential government imposed sanctions, illustrate the need for merchants to pay close attention to the regulations associated with cross-border payouts. Each country and financial institution has its own set of regulations, including anti-money laundering (AML) policies, which are frequently updated. When you think about the scale of global travel, monitoring these multinational regulations is a rigorous process and often requires outsourcing to companies with a dedicated staff, tasked with ensuring compliance. Ai: Every market has its own payment mix, mandates, checkout and risk management considerations. What peculiar developments would you like to share as far as cross-border payments is concerned? Can you talk about this in the context of a market like China? Mike Carlo: While not as expansive as payment acceptance, there are several complexities to supplier payouts, specifically in the area of cross-border transactions. For example, there are limitations to sending payments to individuals in markets like China, which has tight restrictions on the available pay-in options for the country; preferring instead to rely on its own currency. From a B2B perspective, there are few truly global options, and merchants are traditionally left with costly electronic funds transfers like SWIFT and bank wires that take a long time to settle. Unlike payment acceptance, payouts are not about conversion but instead focus on cost management, so anyway to localize the payment experience and reduce cost, is critical to streamlining the process. Ai: Funds sent internationally are subject to a number of regulatory and compliance standards. Can you explain what these standards are all about? In case countries lack requisite standards needed for movement of money, how can it impact business? Mike Carlo: In the travel sector the main compliance standards focus around “knowing your customer” (KYC) and AML policies. Considering the number of global transactions occurring in travel, the industry wants to ensure it’s not aiding money laundering or supporting terrorism. For example, AML risks can arise when illicit fund transfers are masked as a hotel booking or a ground package purchases to small and unknown suppliers. To avoid this risk, financial institutions and companies like Transpay will check recipients against watch lists like OFAC OSC. Ai: Talking of an area like airlines issuing refunds on cancelled flights or OTAs need a payout option for making commission payments, how can travel companies handle such routine transactions in an optimal manner? Mike Carlo: The best practice would be to partner with an organization that manages, long-tail and to challenging markets. Merchants with significant presence in a few markets can oftentimes handle payouts in those markets themselves (opening a local bank account etc). However, the infrastructure and management required to process payouts makes it virtually impossible to scale this for every country. Ai: Overall, how is the travel industry looking at real-time payouts in the B2B arena? Mike Carlo: They are not but we’re looking to change that in 2017. If you look at the competitive nature of online selling, travel payments has focused on getting the largest amount of transactions in the door, and have spent the last 10 years fine-tuning the acceptance process. However, for every dollar in, there is a dollar out and very few companies have investigated to cost of sending payouts. Ai: Can you talk about challenges that arise when applying e-wallets to global mass payouts? Mike Carlo: The biggest challenge is eWallet acceptance and costs associated with it. Wallets are largely a consumer-based solution, so they are a viable solution for B2C transactions but not when applied to B2B payouts. Ai: Can you explain how fraud risk on cross-border sales, which tends to be higher than domestic e-commerce transactions, has shaped up? Mike Carlo: Fraud is much more of an acceptance challenge. Payouts are merchant pushed, so fraud is not part of the equation. The bigger issues in payouts center on AML and KYC risk.